Your dustbin probably contains heaps of empty painkiller boxes. You’ve visited your surgeon thrice this month. Nothing seems to be helping. It’s been three weeks, and you’re still unable to sleep peacefully at night. Your kids complain that you always use chronic back pain as an excuse for not playing with them. You feel distraught. Should you give up hope? Is there no alleviating your condition? Don’t worry, all hope is not lost. In fact, there are non-medicinal and non-surgical treatments for your problem. We’re talking about chiropractic care. We’re all aware of how horribly wrong things can go if the diagnosis isn’t correctly done. While a doctor will treat your symptoms, a good chiropractor will get to the root cause. You’ll also have to undergo certain tests to know the kind of customized treatment that will work for you, which adds to the effectiveness of the process. What makes chiropractic stand out is the fact that it’s not just a treatment. In reality, it caters to many aspects of a healthy lifestyle in a holistic way. These include stress relief techniques, muscle contraction exercises, daily nutrition plans, and mental wellbeing. A chiropractor will not just help you get rid of the pain, but will also educate you about how to prevent such pains in the future. Your nervous system is directly linked to almost all other body functions. 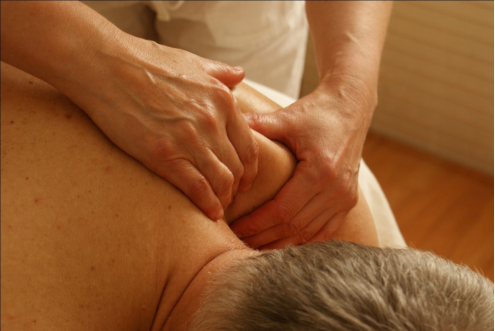 Chiropractic treatment gets rid of all sorts of obstruction in the nerves and ensures a healthy immune system. Your body is, therefore, able to combat body aches better. While a painkiller will temporarily make the symptoms of your chronic pain go away, chiropractic will provide long term relief. It doesn’t involve drugs, which removes any chances of drug-related side effects. Taking medication and the fear of an impending surgery can take a toll on you. You can get better from chronic pain faster if you don’t have additional worries on your mind. We hope you’ve made up your mind to push aside all medicines and instead opt for a healthier way to stamp out your chronic pain. Please know that we, at Shelby County Chiropractic by Dr. James Stapleton DC would be glad to assist. We have all the state of the art equipment needed for your personalized treatment. 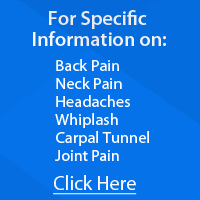 If you’re seeking some chiropractic treatment for headaches, book your appointment here. You can also call at 502-933-1073. Does Chiropractic Care Only Treat Back Pain?